Kitchen Combo Set 32-Piece Only $29.95! You are here: Home / Great Deals / Kitchen Combo Set 32-Piece Only $29.95! Just starting out and need to outfit your kitchen quickly and inexpensively? 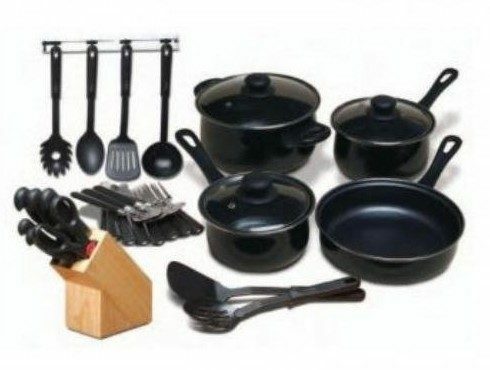 This Kitchen Combo Set 32-Piece for Only $29.95 includes pots and pans, utensils, knives and flatware!